Accessibility: beachside parking; level walk down to reservoir. Driving time: from downtown Provo—Approximately 30 minutes. In the shadows of majestic Mt. 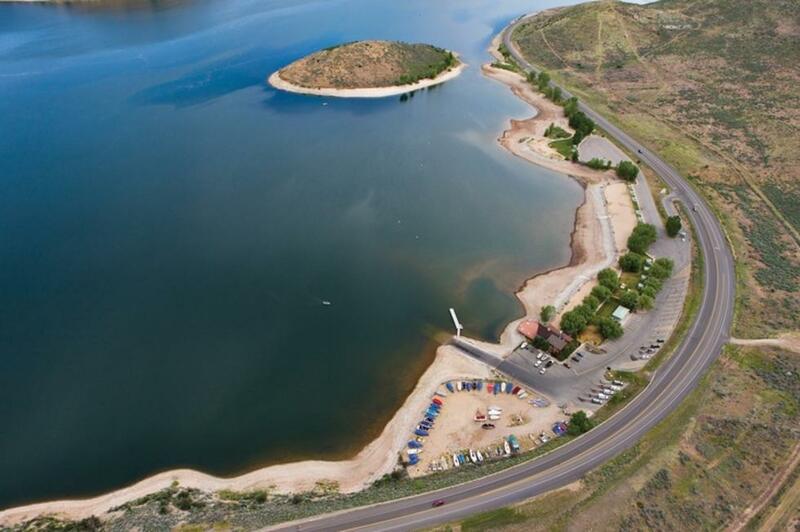 Timpanogos, on beautiful Deer Creek Reservoir is Deer Creek Island Resort. Where all you need is a swimsuit to enjoy all the water sports you can imagine. We provide all the equipment on the water for your convenience. There are no unexpected hassles, no travel time, and all rental time is spent right where you want it to be - on the water. Wakeboarding clinics are also available.